Couples on Wheels, or COWs, is a Wisconsin tandem bicycle club started in 1988. COWs hosts organized tandem biking events throughout the year and promotes tandem riding in the Midwest region. 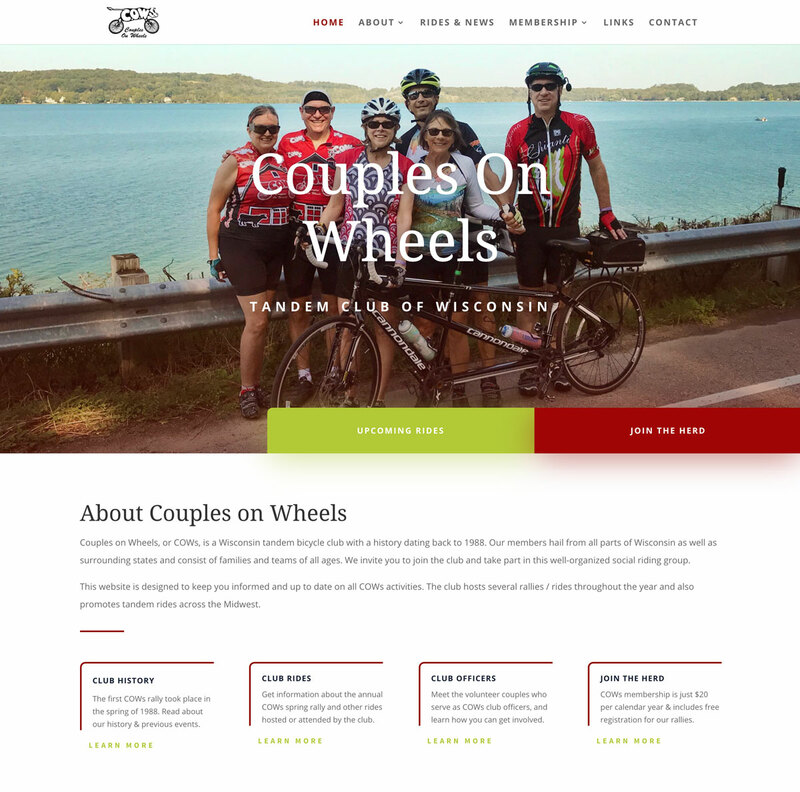 Shane & Andrea Fell of LimeGlow Design are members of Couples on Wheels, and enjoyed the opportunity to redesign and improve the club’s website in 2019. Using the MemberPress plugin for WordPress, LimeGlow Design created an online membership system for Couples on Wheels. 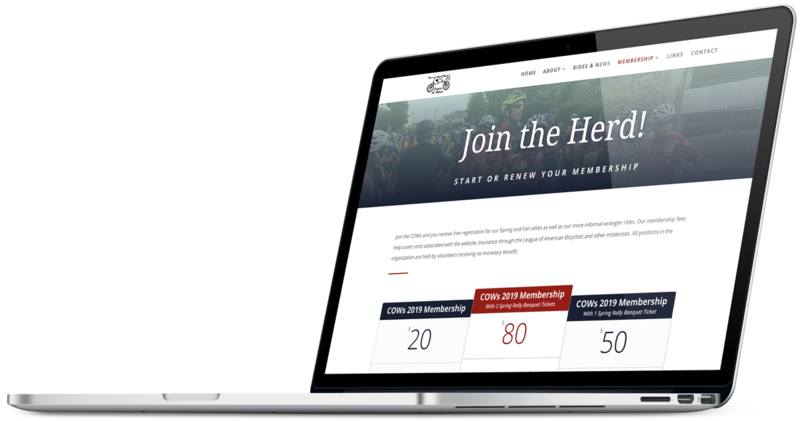 Club members can easily sign up online and access member-only content through a new Member Portal on the website. 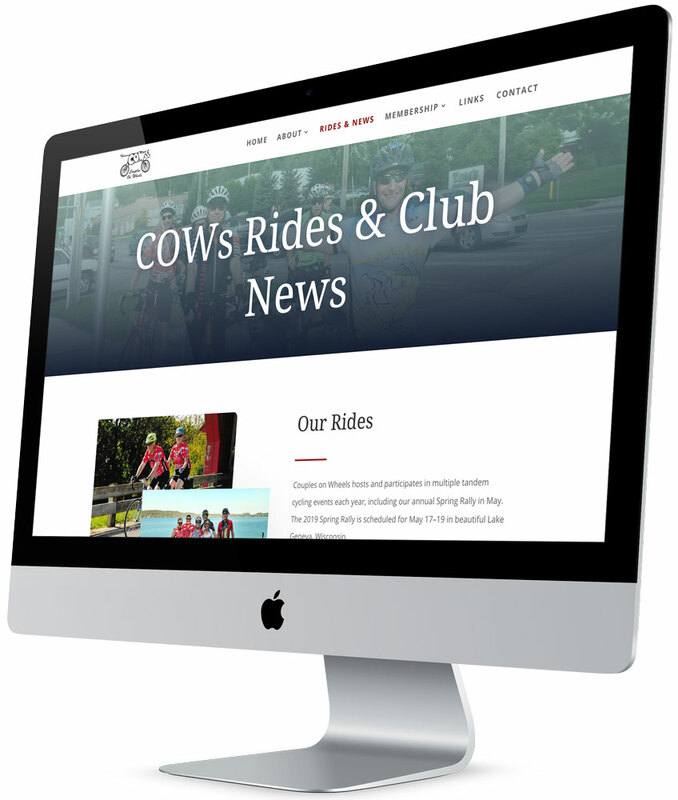 In addition to showcasing membership options, the new website includes an easy-to-update page containing information about upcoming rides, events, and other club news. To learn more about Couples on Wheels, check out the new website at www.couplesonwheels.com.